Let’s face it, websites are a dime a dozen these days, but you’ll need good Website SEO Strategy if you want any traffic to your site. What about optimising your site? When will traffic starting coming to my site? How does Google algorithm for PageRank work? Almost everyone has a site already. And almost everyone who wants one knows someone who can make a website for them. I meet people every day who say their son or daughter or some relative has made a website for their business. Many website companies offer cheap websites or sometimes even free ones, so they claim, but there is usually a catch to the freebies. You can even go and get a free Blog from one of the major Blog engines like Blogger or WordPress. All this is very well if you are the DIY type, but let’s face it, sooner or later your relative who made your site for you will go on to better things and then you will be left to try and make your website useful. It will then be up to you to figure out how all this website jargon works. What do they mean CMS, DNS, SEO, PPC and so on? How can you make your website actually work for you instead of just sitting there taking up space on the Internet. The answer to this is not rocket science, however it can be lengthy, time consuming and involved. If you want cold customers to go to your website and then you want to convert them into happy paying customers… then you are going to have to come up with a website strategy that works. First people need to find your website. this is where the SEO and PPC some into it. The Internet is pretty mature these days because companies like Google have had over a decade to shape it into what it is today. So how does the Google ranking system work? Well if Google told everyone what their secret propriety searching and indexing algorithms are, then they would not have such a hold over the market. This is where people like myself come into the game. People who have studied for many years how Google and other search engines work and can capitalize on the choice of keywords on your site to send a whole heap more traffic to your website. Once those cold customer have found your website after doing a search, you will then want to do something to convert them into happy paying customers. This may sound like a bit of a stretch of the imagination, after all most people who stumble upon a website they have never seen before only stay there for a few seconds. Think of your self, unless there is something on that site you are really interested in, then you will keep searching. That’s the way the Web works. So it is going to take some strategy to deliver good content to your customers. So, good website SEO strategy is key to traffic for your site… SEO is the name of the game. Search Engine Optimization and Conversions. A time consuming, lengthy, and involved process which requires a lot of skill and know-how, and a lot of forethought and planning. There’s no quick fix for a high ranking website which gives good returns. If done correctly, with the right strategy, then your website can increase your returns and give you a long and profitable income. It can be done, and has been done on many occasion. 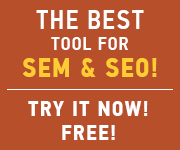 For DIY check out MOZ Guide to SEO. 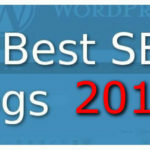 Or you can Contact me to find out more about how to implement a Website Strategy at WordPress SEO Consulting Services. It makes sense how you are explaining on how to understanding PR. I think PR is still important, but the toolbar PR was taken away, but the PR is still important.